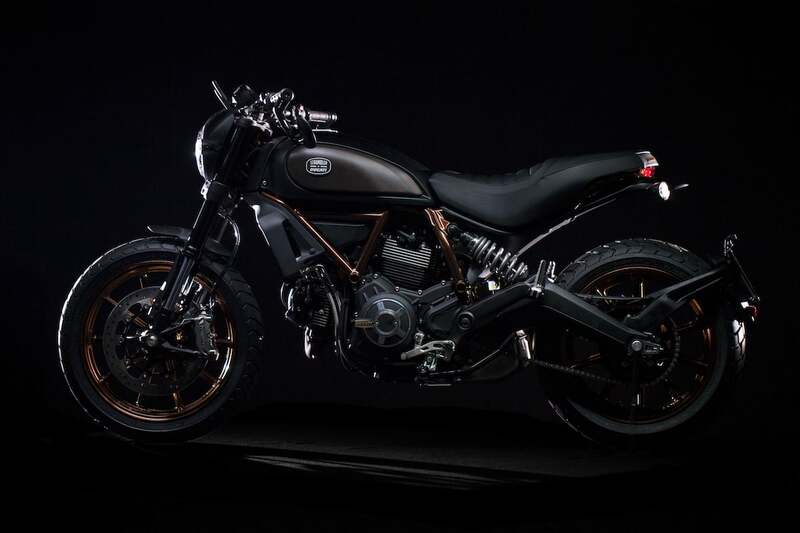 Ducati revealed a limited edition of its Scrambler called the Italia Independent. 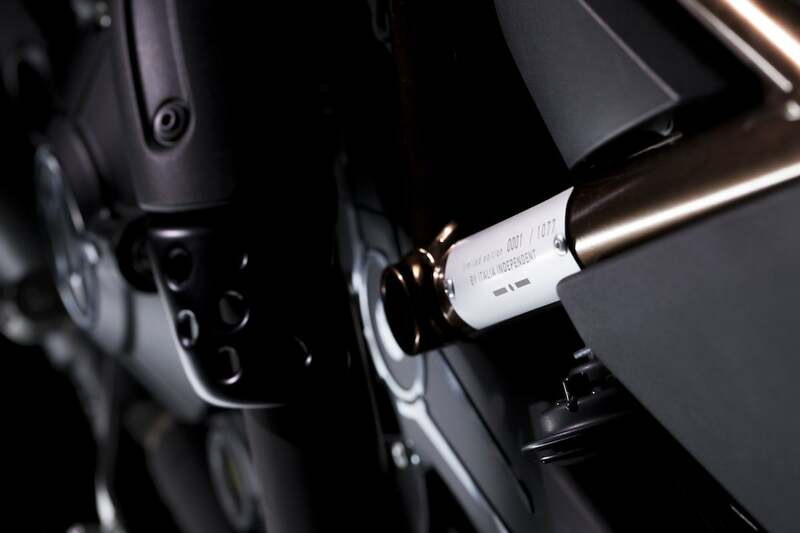 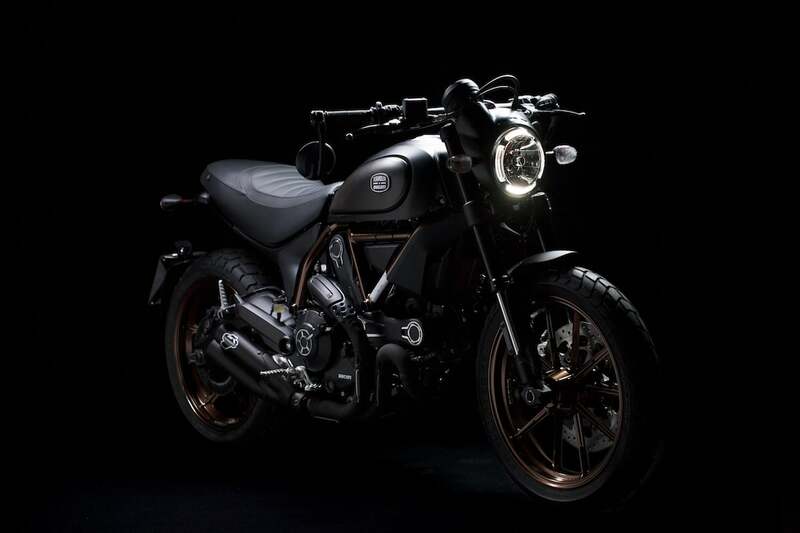 Black matt paintwork combined with copper colored elements like the frame, topped with an all black Termignoni exhaust system. 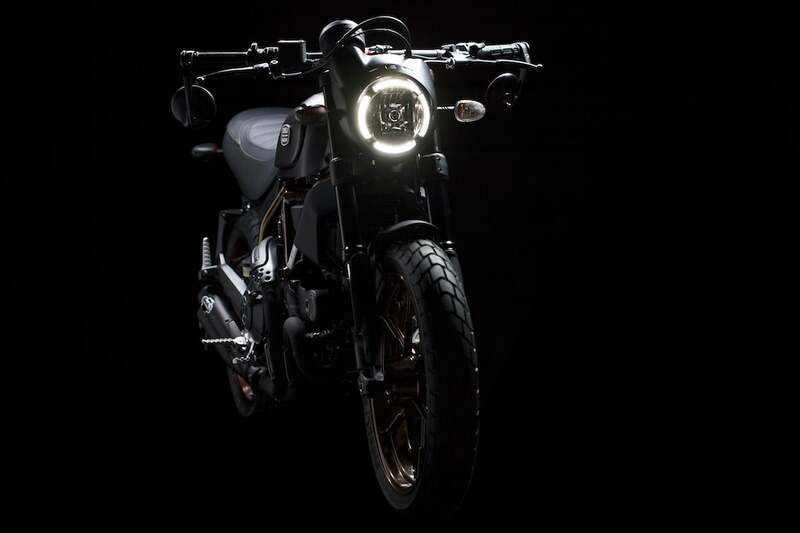 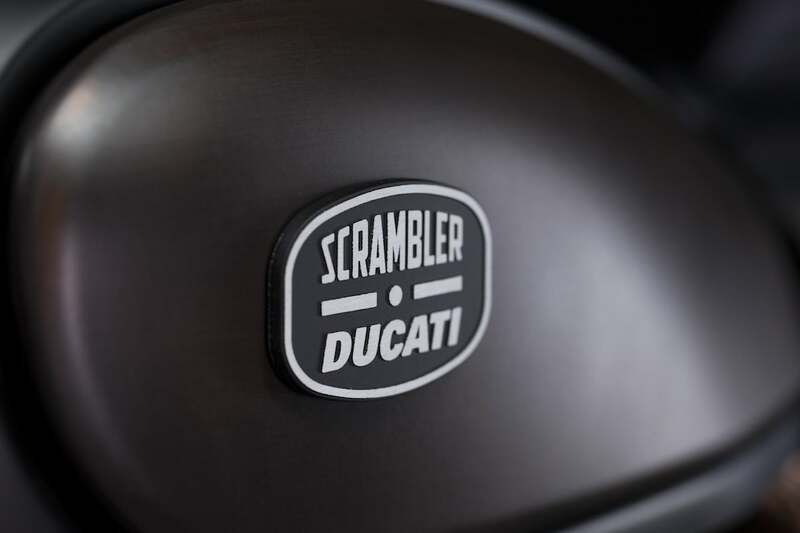 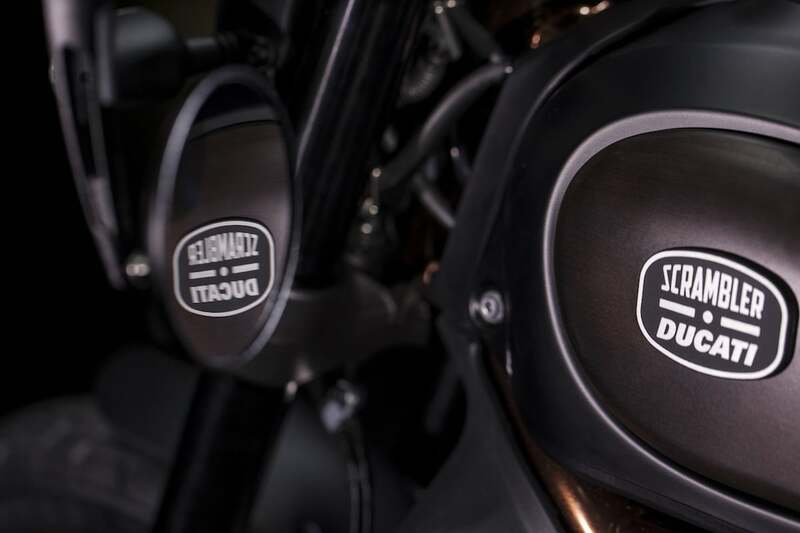 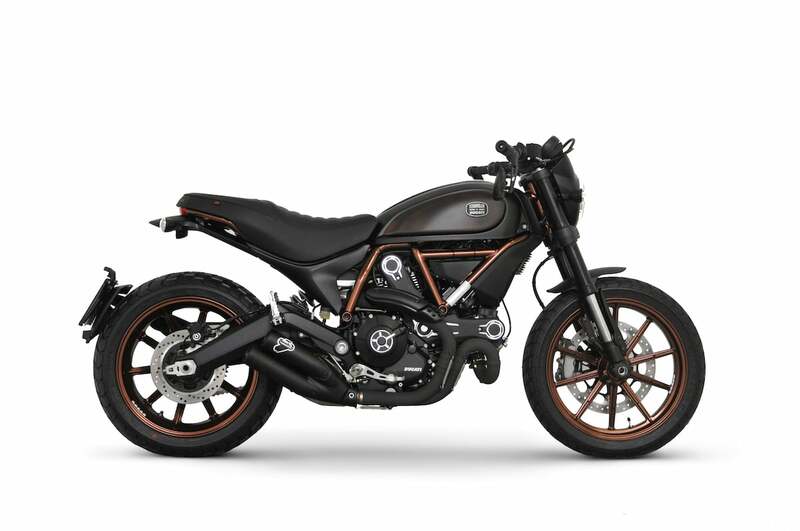 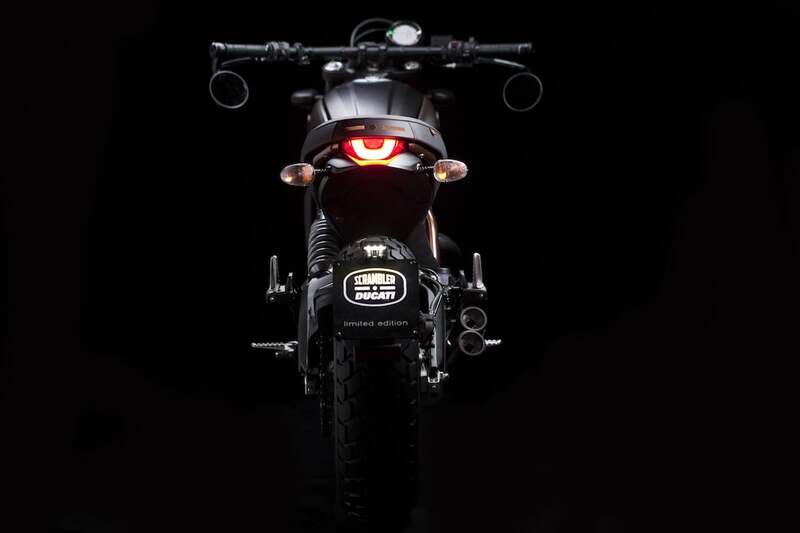 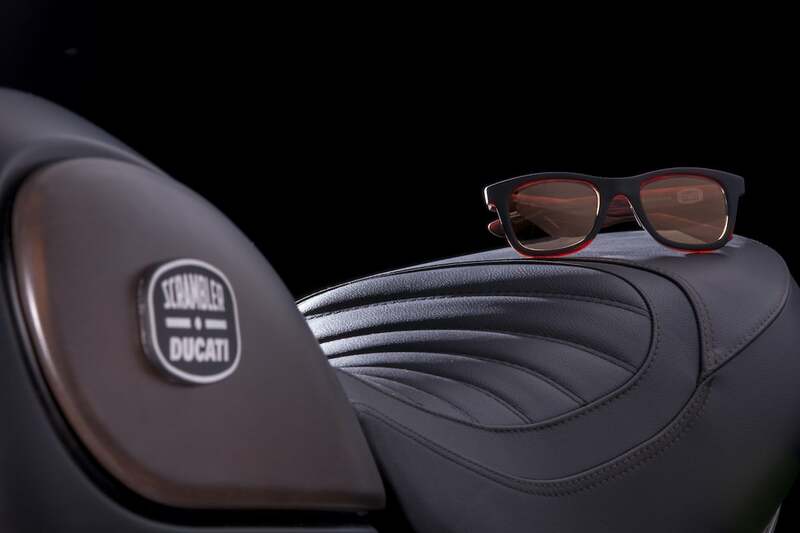 The new Scrambler is the result of Ducati`s cooperation with the design and fashion label Italia Independent. 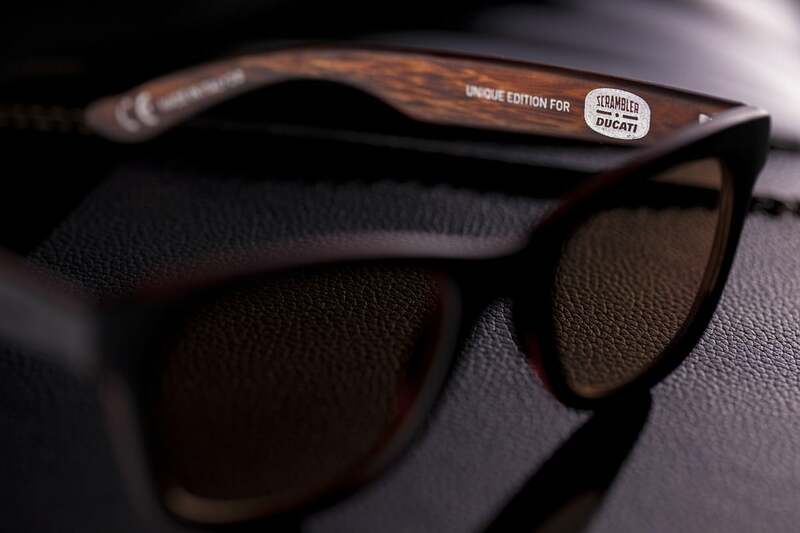 The changes are for the most part optical. 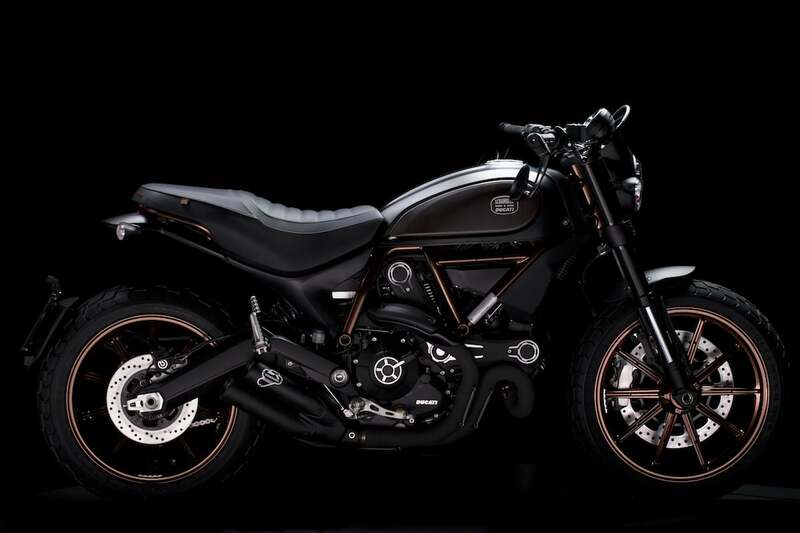 Whoever wants to call one of the 1077 limited scramblers his or her own, will have to pay around 12,500 Euro.